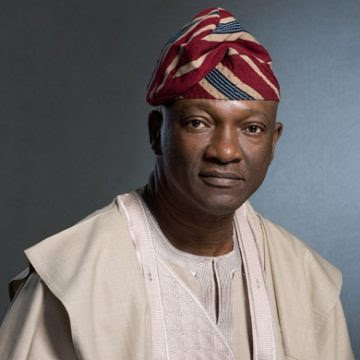 Jimi Agbaje, the Peoples’ Democratic Party, PDP governorship candidate in Lagos State, has again described Babajide Sanwo-Olu, the governorship candidate of the All Progressives Congress, APC as a candidate of a god father who controls Lagos affairs. Agbaje who said this in Lagos at a debate organized by The Platform for governorship candidates in Lagos State insisted that it will be difficult for the APC candidate to operate as an independent-minded governor because of the nature of his emergence as a candidate. According to the PDP candidate, Sanwo-Olu’s loyalty, if he wins the forth-coming governorship election will definitely not be with Lagosians. Like other governors before him since 2007, Sanwo-Olu, he argued, will not depart from the already entrenched path of his predecessors who pander to the pleasure of the god father. Agbaje who added that his position on the issue of proxy leadership and god fatherism is well known by Lagosians warned that Lagos State can only get better when men without god fathers are elected. Unsurprisingly, this line of argument was re-enforced by the panel of interviewers as it took Sanwo-Olu on the issue of his newness in politics and the fact that everybody thinks he is an anointed candidate. But instead of responding to the raging allegation regarding his imposition, the APC candidate chose to speak of his personal achievements which apparently did not answer to the concerns of many people in Lagos State. In the days ahead, issues around Sanwo-Olu’s emergence as a candidate and his alleged support by a god father of Lagos politics will continue to be of great concern to Lagosians.